WEBZEN’s global game portal kicked off business in the gaming industry with ‘MU Online,’ immediately followed by ‘Archlord’and ‘S.U.N.’. WEBZEN.com attracts more than a million new subscribers annually. 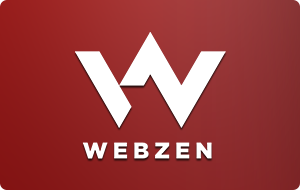 Currently, ‘WEBZEN.com’ is currently the company’s flagship overseas business and boasts subscribers from nearly 190 countries worldwide. The portal is available not only in English but also in 8 different languages, including German, Spanish and French, and offers game clients in a diverse array of languages. WEBZEN acquired Gala Networks Europe and Gala-Net, a leading publisher of free-to-play online games and operator of the gPotato portals in February 2013.Following this acquisition, both companies operate under the corporate names of WEBZEN Dublin and WEBZEN West.WEBZEN Dublin and WEBZEN West operate gPotato portals, hosting diverse free-to-play MMORPGs to more than 25 million registered users in North America and Europe.WEBZEN will implement its business strategy to bring WEBZEN’s online/mobile games to North/South American and European territories through its close cooperation system with gPotato portals. charging through the mobile phone, through Wcoin pre-paid cards or through earning free Wcoin by taking online surveys. Payment methods differ from each Wcoin portal based on the regional payment options available. What games can be played on Webzen? Rappelz is a free, global MMORPG where over 6 million players adventure and battle in a dark and devastated fantasy world. Rappelz combines a striking fantasy art style with deep character customisation, tactical pet taming & training, and extensive player-versus-player and player-versus-environment gameplay. Rappelz is available in North America and Europe in English, German, French, Polish, Turkish and Italian on the Webzen.com portal. For further information, visit the official Rappelz website at http://rappelz.webzen.com.